Уважаемые читатели, Вашему вниманию предлагается письмо из Германии из частной переписки одного из наших сотрудников. Мы опустили имена в самом письме и его переводе. Почему? Думается, Вы поймете это из текста письма. Столь критические высказывания о своем правительстве небезопасны. Нам же хотелось, чтобы читатели знали, в Германии есть и такие люди, и такое отношение ко Дню Великой Победы. Добавим, что это письмо написано в ответ на информацию про БЕССМЕРТНЫЙ ПОЛК (в том числе и видео этой акции из Москвы 9 мая). Это письмо – ответ на вопрос, были ли показаны хотя бы фрагменты данной акции в ФРГ. In this article it is discussed the critical analysis of the hypotheses on the origin of language including the old ones (the onomatopoetic hypothesis, the hypothesis of sound symbolism, the interjectional hypothesis, the labour hypothesis) and the new ones (N. Chomsky, T. Givón, N. Masataka, T. Deacon, R. Dunbar). Keywords: the origin of language, the hypothesis of sound symbolism, the interjectional hypothesis, the labour hypothesis. The article is dedicated to the analysis of views of the universal evolutionists such as Democritus, Lucretius, J. de Lamettrie, J. Herder, W. Humboldt, H. Spencer and G. Vollmer on the problem of glottogenesis. Keywords: universal evolution, evolutionary linguistics, glottogenesis, Democritus, Lucretius, J. de Lamettrie, J. Herder, W. Humboldt, H. Spencer, G. Vollmer. Andriyanova O. V., Kolmogorova A. V.
The article deals with the peculiarities of «mothers’ communication» in the register «adult – adult» in the framework of the internet-forum for young mothers. The author presents the results of the posts analysis in the specialized thematic forums where mothers discuss their child`s health and development. Morphological and lexical peculiarities and thematic fields of mother`s «dialect» are also examined. Key words: internet-forum, mother`s «dialect», sociolect, verbal peculiarities, non-verbal means, thematic fields. as well as the element of credibility, the aspect of playfulness and linguistic innovation and, last but not least, the emotional side of the youth language. Regarding its linguistic register, it should be assigned to substandard since it purposely disregards the grammatical rules of the German Hochsprache (standard language). At the end of this article there will be a selection of recent loans from English. They were gleaned from a little booklet by Hermann Ehmann, entitled Endgeil. Das voll korrekte Lexikon der Jugendsprache (2005). Key Words: young speakers (social group), non-conformism, protest, emotions, credibility, substandard, innovation, playfulness and colourfulness, loanwords from British and American English, linguistic economy and effectiveness of communication. * Revised version of a contribution to the scholarly conference entitled 'Anthropological Linguistics' at the 'Volgograd Social-Pedagogical College' on 31th October 2006. Zusammenfassung / Überblick: Im Folgenden soll ein kurzer Blick auf die Anglizismen in der Sprache der deutschen Jugend geworfen werden. Dabei sollen einige Überlegungen allgemeiner Art zum Ursprung, Charakteristika und Status der Jugendsprache angestellt werden. Schon seit Mitte des 18. Jahrhunderts gibt es Abhandlungen zur Studentensprache, die mit Sicherheit noch wesentlich älter ist. Was den Charakter angeht, so ist der Protestaspekt, der Abgrenzungsaspekt, der Aspekt der 'Credibility' (Glaubwürdigkeit), der Spiel- und Innovationsaspekt, der affektiv-emotionale Aspekt und der kommunikativ-ökonomische Aspekt von Belang. Zum Status der Jugendsprache ist zu sagen, dass sie zum Substandard gehören müsse, da sie bewusst gegen die Regeln der Hochsprache verstößt. Die Ausführungen schließen mit einem Anhang, der eine Auswahl aktueller Anglizismen enthält. Diese sind dem Büchlein Hermann Ehmann, Endgeil. Das voll korrekte Lexikon der Jugendsprache (2005) entnommen. Schlüsselwörter: junge Sprachträger (gesellschaftliche Gruppe), Nonkonformismus, Protest, Emotionen, Credibility (Glaubwürdigkeit), Substandard, Innovation, bunte Sprachspielerei, Entlehnungen aus dem britischen und amerikanischen Englisch, sprachliche Ökonomie und effektive Kommunikation. * Ueberarbeitete Version eines Beitrags zur wissenschaftlichen Konferenz 'Anthropologische Linguistik' an dem Wolgograder 'Sozial-Paedagogischen College' am 31. Oktober 2006. The article is devoted to a complex psycholinguistic phenomenon, graphic interference, on the base of mistakes made by foreigners in writing Russian texts. 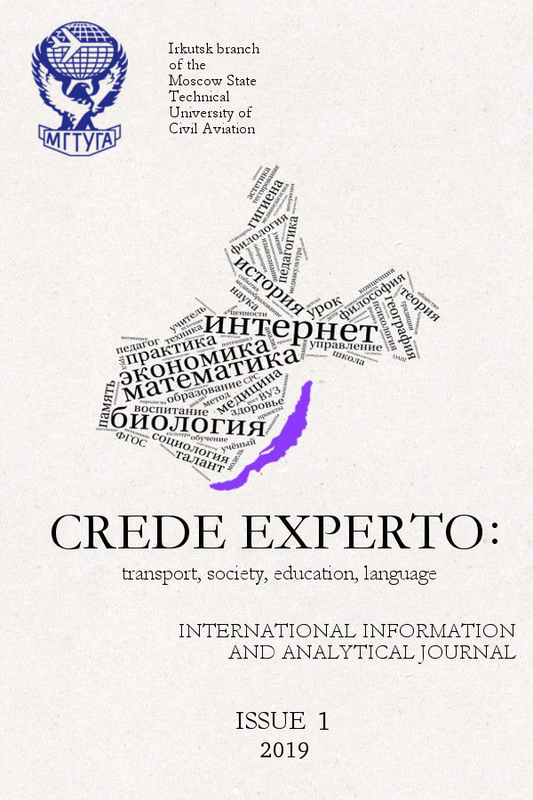 The article can be used in the process of teaching the Russian language to foreign students. Keywords: linguistic interference, graphic interference, the alphabet, grapheme, graphology. This article provides a sample of linguistic analysis of the belles-lettres style text. The relationship between the language and the content of the excerpt is presented. Key words: belles-lettres style, settling difficulties, the speech portrait of a foreigner, the main idea, first-person narration, the antropocenters of a literary text. In the ancient times there was a tendency in teaching which meant freedom from compulsion. It was clear then and now that the relations of the teacher and the pupil are at the personal level. And the educational process always contains emotional measurement. Scientists note that mother is the best teacher for the child and the child is taught at first in the family circle. And today small schools ruled by teachers and not by ideology and politicians are the best choice for pupils. Zusammenfassung: Im Altertum gab es eine Tendenz der Ausbildung, die die Freiheit von Zwang bezeichnete. Es war und ist bekannt, dass das Verhältnis von Lehrer und Schüler auf der „personalen“ Ebene liegt. Und der Lernprozess enthält immer eine „emotionale“ Dimension. Die Wissenschaftler bemerken, dass die Mutter die beste Lehrerin ist und dass das Kind zuerst in der Familie lernt. Und heutzutage ist es besser für die Schüler, in den kleinen Schulen zu lernen, die nicht von Ideologen und Politikern, sondern von Pädagogen geleitet werden. Demographiс proсesses in Eastern Siberia in the period of 1960-1980s. The article deals with historical experience of Eastern Siberia population. It investigates the reasons of urbanization and gives the conclusion about the population growth in the cities of Eastern Siberia. Key words: youth, urbanization, the establishment of industrial centers. The special features of the development of contemporary pedagogical education are revealed in this article. The structure and content of pedagogical education in Flemish and French Communities are compared. Key words: pedagogical education; structure and content of pedagogical education; linguistic and cultural communities. Uskenbaeva S. T., Kabenova D. M.
The article deals with the issue of the modern polycultural world, etnopedagogization of the modern Kazakhstan education system that based on the traditions of human national pedagogics. It shows the importance of ethnocultural and polycultural education from the positions of comparative pedagogics. The article deals with the problem of media education. It discusses the way of formation of pupils' media competence in terms of Federal State Educational Standards implementation. Кеу words: media, media education, information society, mass media, Federal State Educational Standards of the general education. This article focuses on the nature of "junior schoolchild’s media erudition" as the ultimate goal of media education. It gives the structure of the desired characteristics, the selected components, criteria, levels and formation indicators of junior schoolchild’s media erudition in an educational institution. Key words: information society, media, media education, junior schoolchild, media erudition, the structure of media erudition. 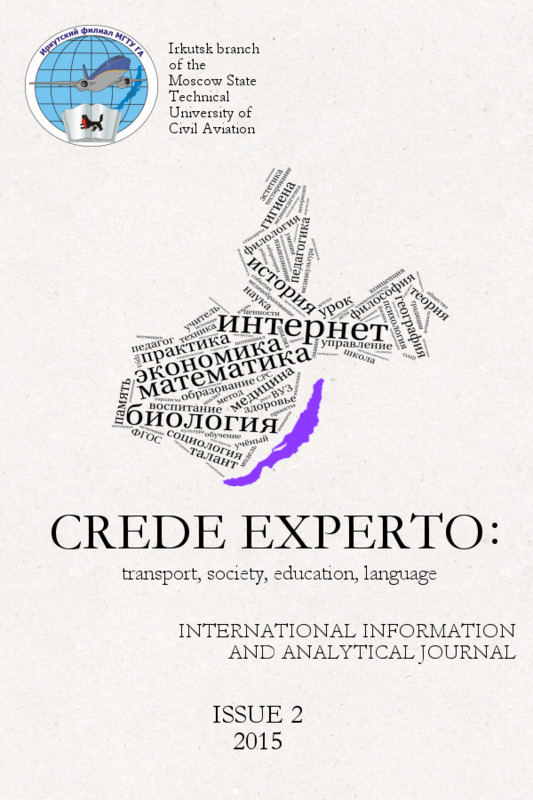 The article is devoted to the study of the synthesis of media criticism and media education in the learning process of pupils and students in Finland. We covered the history of the development of media criticism and media education, analyzed the basic functions, moves, types of media criticism. The publication presents the concept of leading media critics Finland, the main directions, forms, media education, synthesizing a media critic. Keywords: media education; media criticism; synthesis; pupils; students; media literacy; media; Finland. В статье предпринята попытка теоретического рассмотрения возможностей опосредованного или медиатизированного общения в формировании медиакомпетентности вторичной языковой личности. Предложен принципиально новый подход к опосредованному общению на современном этапе информатизации общества, в котором описанный феномен выступает как средство медиаобразования и средство обучения иностранному языку. Ключевые слова: опосредованное (медиатизированное) общение; медиакомпетентность вторичной языковой личности; медиаобразование; иностранный язык; средство обучения. This article analyzes the main trends and prospects of the analysis and interpretation of works of media culture. The author considers the main provisions of analyzing media texts that are typical of domestic and British media education. Keywords: media and media culture, media education, the analysis of a media text, forms and methods of media education. The article touches upon the problem of setting motives of committing crimes that are perpetrated in our country by such a category citizenry as under age students. The research of the students’ motive commitment of illegal actions allows further elaboration of complex programmes concerning the prevention of crimes committed by some students. Key words: crime, minors’ crime, crime motives, students, illegal actions, crime prevention. Karavaev Ju. A., Hodackij S. A. The article presents methodical aspects of knowledge self-control organization for studying the fuel system of D-30KP engine, the discipline “Aircraft Engines Design”. Illustrative materials given in the article demonstrate the methodical support of electronic database, which provides increase of student’s cognitive activity during knowledge self-control. Key words: kinds of knowledge control, self-control, computer-based education technologies, multimedia technologies. The article deals with the issue of agrobusiness competences of the personality according to the Concept of development of a continuous agrobusiness education in rural territories of the Irkutsk region for the period till 2020 approved by the order of the Ministry of Education of the Irkutsk region and the Ministry of Agriculture of the Irkutsk region of July 18, 2014 №85-мпр/61-мпр. Key words: agrobusiness education, agrobusiness competence, continuous education, development of the village, education, training, educational standards, personal results, metasubject results, subject results. 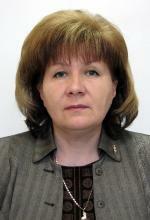 Iamshikova I. V., Kazarina V. V.
In this paper, the current market research of commercial real estate is analyzed. We examined general patterns, socio-economic characteristics, especially the development of residential and commercial real estate in Irkutsk region. Analysis of the current state of housing and commercial real estate in the city of Irkutsk is represented. The implementation of housing state programs of Irkutsk region in 2013-2014 is reviewed. We have proved the low investment attractiveness of the construction industry. We determined the direction of improving the existing mechanism to attract investors to the commercial real estate market, the mechanism for effective cooperation between government bodies and investors. We have developed a classification analysis of nonresidential premises, which is represented in the work. The types of commercial real estate are classified. Opportunities to invest in items such as non-residential premises on the example of the Irkutsk region are considered. Keywords: investment market, development of the market, commercial property market, classification of commercial property, model of investors’ interaction. 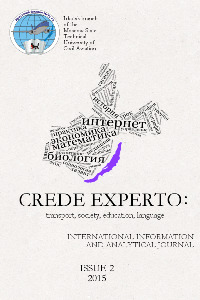 The article presents the results of the research associated with the elaboration of pedagogical support model of social competence development of adolescents with giftedness demonstration, which is focused not so much on the development and detection of manifestations of giftedness in children and adolescents, as on the realization of their abilities in any activity. The relevance of this study is determined by the fact that the involvement of talented youth in social practice, their informing about potential development opportunities, support of the creative activity of gifted adolescents are defined as priority directions of the state youth policy in the Russian Federation. In General education the solution of these problems is associated with the development of social competence of adolescents with giftedness demonstration. In this article based on unpublished historical sources from the State Archive of Irkutsk Oblast the war of the political police against agitational work of socialist political parties of Irkutsk is analysed. It elucidates the general methods of the police, and sheds light on the problems that emerged due to the agitational work of the police. 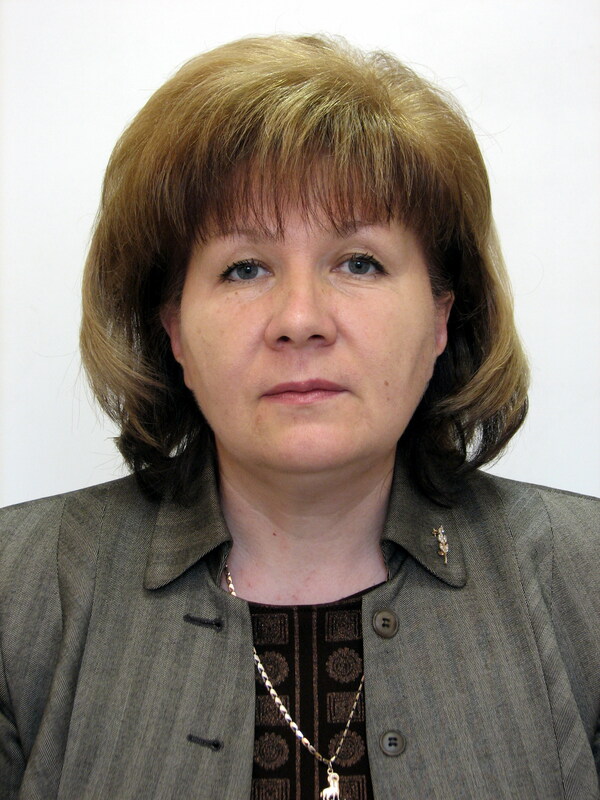 Savel'eva D. V., Lapshina E. A. This article is about the syntactic relationship formed in a two-member sentence between a subject and a predicate, differences are identified between the syntactic relationship and the theory that is considered in school books. Nikitina E. A., Kapichnikova I. J. Key words: quality assessment, competency-based approach, secondary vocational education, general competencies, professional competencies, foreman of vocational training. Leonov V. A., Meriakri L. G.
This article is dedicated to the problem of dystopian novels within the framework of modern culture. The backgrounds of the genre’s origin, caused by certain social and economic processes, are briefly defined. On the basis of an analysis of theoretical sources, the authors emphasize the characteristics that inhere in all the opuses of this genre that allow the novel “Divergent” to be interpreted as a “dystopian novel”. Key words: genre, dystopian novel, utopia, genre standard, social development.